Acacia Mining reported gold production of 104,899 ounces in its first quarter on Monday, which was 13% below the prior year period due to lower production at North Mara and Buzwagi. 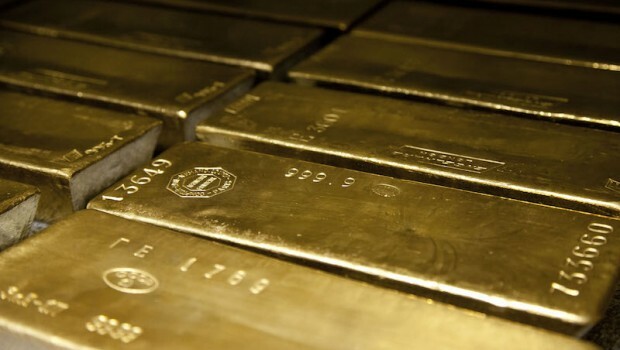 The FTSE 250 firm said gold ounces sold totalled 104,985 ounces for the three months ended 31 March, which was in line with production. At North Mara, gold production was 66,324 ounces, which was 14% lower than the prior year, driven by the result of a fall of ground in the Gokona underground mine at the end of December as well as an excavator breakdown in the Nyabirama open pit. The fall of ground at Gokona prevented access in the quarter to two higher grade stopes in the east, impacting mine sequencing and ultimately head grade which - three grams per tonne - was 19% lower than the first quarter of last year and below expectations for the quarter. In order to address those issues, Acacia said North Mara began working to a revised mining plan from mid-March, with new mine sequencing for both the open pit and underground mines targeting higher grades and increased volumes supported by additional equipment, as well as initiatives to improve recovery rates in the process plant and asset reliability. It said that in particular, the focus on increased volumes from the open pit should allow faster access to the main higher-grade ore body, while the revised mine sequencing in the underground mine was designed to ensure smoother transitioning between stopes and improved productivity. With those initiatives already underway, the board said it remained on track to achieve group production guidance for the year of 500,000 to 550,000 ounces. Buzwagi gold production was 28,577 ounces for the quarter, which was 20% lower than the prior year of 35,685 ounces but in line with expectations as a result of the mine having fully transitioned to a lower grade stockpile processing operation. Bulyanhulu produced 9,999 gold ounces for the quarter, which was 17% above the prior year and in line with expectations, due to the higher grades recovered from the retreatment of tailings as well as improvements in plant throughput. All production there continued to be produced from the retreatment of tailings as a result of the mine being placed on reduced operations in late 2017. The company’s cash balance as at 31 March totalled $99m, which was a decrease in net cash of approximately $17m during the quarter, primarily as a result of the lower production. Through the quarter, Acacia said it had continued to engage with and provide support to Barrick in its direct negotiations with the Government of Tanzania. It said it was looking forward to receiving a detailed proposal for a comprehensive resolution of its disputes with the government, once Barrick’s negotiations had been successfully concluded. The directors said they continued to favour a negotiated resolution on a timely basis, that would benefit all stakeholders. “While historically our production is typically stronger in the second half of the year, production this quarter was impacted by unanticipated production issues at our North Mara mine,” commented Acacia Mining interim chief executive officer Peter Geleta. “We have taken immediate steps to address these, introducing a revised mining plan in mid-March for both the underground and open pit mines, and we remain confident of delivering against our full year production guidance of 500,000 to 550,000 ounces.